Making homemade apple juice is very easy and gets the satisfaction of healthy fresh zip. 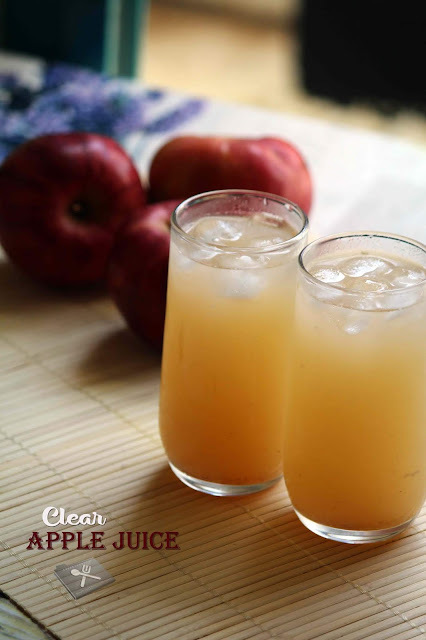 Apple juice is made by the maceration process and pressing of apples. This simple technique delivers maximum nutrition with very little effort. Soak apples in warm water for 30 minutes. Wash it properly and cut in to small pieces by removing its inner seeds. Don’t peel its skin. Add theses chopped apple pieces and sugar in a pan. Cook it on stove top for about 30 minutes in low flame (Stir occasionally) until apple pieces get cooked well and soft. Now mash it well with a ladle and cook for another 5 minutes. Switch off the flame and allow cools down. After that sieve the juice through a fine strainer. Now the apple syrup is ready. Took two serving glasses; add few ice cubes in each. 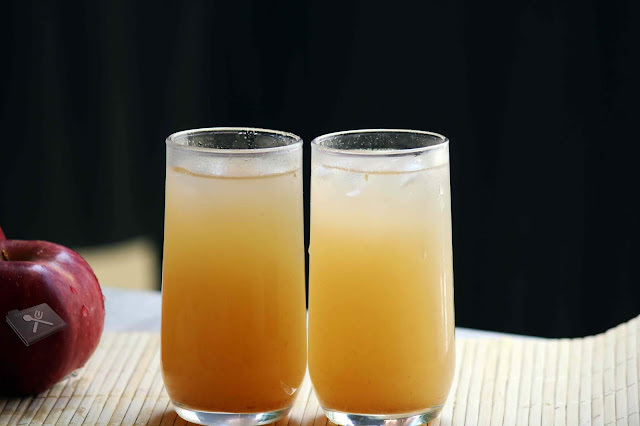 Add two tablespoons of apple syrup in each glass. Add chilled water to fill the glass. Give a nice mix and serve soon.